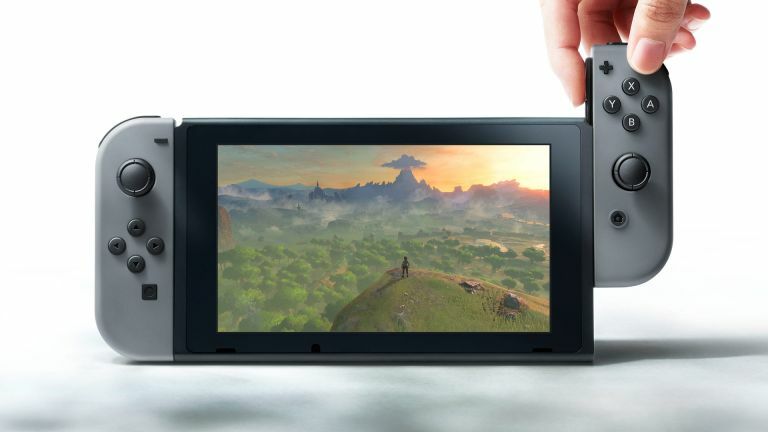 One of the biggest new hardware announcements this week has to be the Nintendo Switch. This is what was formerly known as the NX and has arrived to combine home gaming console with handheld portable. Console pricing and release date have not been announced but its ability to use the detachable controllers for multiplayer were shown off. Also seen from the reveal trailer were games including Legend of Zelda: Breath of the Wild, Mario, Skyrim, NBA 2K17, Splatoon and Mario Kart 8. Kodak is back, yes again, and this time it's packing its camera know-how-name into a smartphone called Ektra. The Kodak Ektra will come with a hefty 21-megapixel camera with f/2.0 aperture, phase detection autofocus, optical image stabilisation, and a dual LED flash. Arcshot is also onboard which should mean its night camera smarts will also appear. Other specs include a Helio X20 2.3GHz Decacore processor with 3GB RAM, 32GB storage (expandable with MicroSD cards), and a 3000mAh battery with USB-C fast charging. Is the 21MP Kodak Ektra smartphone a photographer's dream? Activity tracking company Moov usually known for its good looking wearables is going full-tech with its new Moov HR which attaches to the wearer's head. Don't worry it's not a robotic implant but a headband that holds the wearable. But it does more than the usual actvity tracking as the unit has a heart rate sensor which, when placed by the head, can detect to an accuracy level that would make scientists impressed. Not bad for a total of £82.50 including a swimcap to even do HR in the wet. This is a very limited availability Kindle made especially for comic book fans. It's got eight times the usual capacity at 32GB and runs 33 percent faster. All that means it should offer smooth comic book reading. The catch? This is a Japan only exclusive so you'll need to find a way of getting one from there if you want it. Since even there it will be in limited production you'll need to move fast. It should cost you around £125. A new SUV from Bentley? It was always going to be a decadent powerhouse that impresses. The Bentayaga doesn't disappoint. This beast features a 0-62mph time of 4.1 seconds thanks to a 600 bhp 6.0-litre W12 engine which carries around lush leather interior comforts, 4x4 suspension and drive systems, a full infotainment system with 60GB hard drive, 8-inch touchscreen and even a Naim sound system. Read all about at the link. The smart voice assistant from Amazon, known as Alexa, has made it to the UK in a condensed form inside the Echo Dot. Smaller than the full Echo and minus a speaker this is used to make voice requests of Alexa but can also be plugged into any speaker via a 3.5mm jack. The Echo Dot is a £50 unit which upgrades your speaker to be smart controlled so you simply ask for a song, artist or album and it will play. Cooking and want to ask a conversion? It'll do that. Want to check your commute at the breakfast table? You're covered. It's a whole lot of smarts for the price.